A new study found a correlation, not causation, between children with happy and balanced lives and playing video game for an hour or less per day. What I find irritating about this study is that this is common sense and yet someone paid lots of money to fund “scientists” to figure this out. Yes, for the most part, children who do not bury themselves in video games are leading more balanced and healthy lives. Rather than squatting in front of a screen, they are out at the ball field, going to camps, hanging out with friends, and having a life. These children are not following the sedentary trend that grips the Western world. But video games are not creating their sense of well-being. Rather, playing for short periods is what one would expect to find in the life of a child who has other activities going on. So, if your child has social-skill deficits, suffers from hyperactivity, and has few outside interests that engage him or her, your child is more likely to be a problem video gamer, i.e., play an average of more than three hours a day. The games do not create the problem; your child’s brain does. But the gaming behavior can make underlying difficulties worse. Children with ADHD and Asperger’s Syndrome are, for example at a much higher risk for become problem gamers, but the gaming does not create these neurobiologically-driven conditions! If your child has a social skill deficit and spends four hours a day by himself, in front of a screen, then the problem will get worse. If your child struggles with impulsivity and waiting his or her turn, placating your child by parking him or her in front of a PlayStation will not help the situation. As any good parent knows, your child needs to learn how to get along with others. Your child also needs to be physically active, both to put him or her on a long-term positive health trajectory and to help him or her lead a balanced life. Your child also needs to learn to work hard, and to delay a small, short-term reward, for a longer-term, but much larger one. Excessive video gaming can get in the way of all these development steps. Video games are great, in moderation. They can help with eye-hand coordination, visual-spatial acuity, and can even make learning fun. When a child plays video games in excess, however, behavioral problems are probably already present. Video games are the great escape for today’s troubled children, but they usually make their problems worse. The logic holds for smart phones too. Excess gaming is a sign that some deeper issue is present. So when your child starts to exhibit excess interest in gaming, it might be time to get professional help. When parents call me, they are usually at the end of their rope, dealing with a teenager who is already a full-fledged addict. It is best to start modeling healthy tech behavior when your children are young. Consider tackling this issue as a family by following my top five technology tips. Allowing our kids to play alone is dangerous. We should guide them on playing so we could also have time to bond with them. Thanks for your comment, Dave! I could not agree more wholeheartedly. Excellent post. I think it is good to look for the positives when they can be found! Do you think we should boycott Microsoft? No, I ma not calling for a boycott of Microsoft. I simply think we have to become smarter about how much we allow technology to swallow up our lives! im glad my Xbox didn’t get destroyed :D.
Gary, if that’s your real name, I am glad your Xbox didn’t get destroyed , too. However, I hope your Xbox doesn’t own you! Please be careful. Nice job, Kevin! It always amazes me that researchers, writers, scientists, etc., point their finger at the screen instead of the brain, which is the real source of the issue. Agreed, Terry. I also think that there is too much money for junk science. There are many more worthy causes to put that money toward. Kevin, who pays for these stupid studies? Couldn’t research money be put to better use, like fighting AIDS or Ebola? I am with you; I find this so-called study offensive. Mary, my sentiments exactly. And maybe they could have used that money to help us figure out what to do with the kids who ARE online more than three hours a day!!!! I do think we need a little more imagination in the world of science. 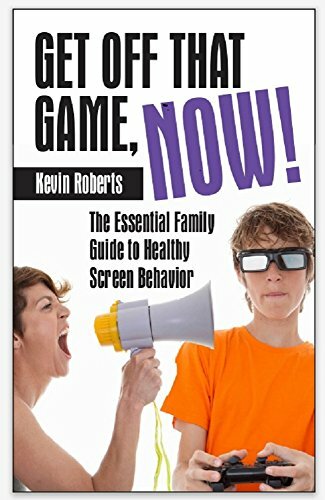 Lots of good info for parents Kevin. Thanks Lynn. Unfortunately, this cyber world requires great parental vigilance. Hands-off parenting in the cyber age carries major consequences!! !